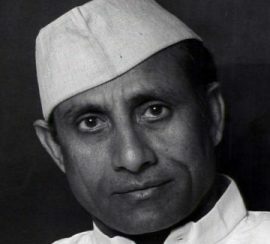 Born in Timapur on July 11th, 1924. Passed away in Paris on August 21rst, 2007. Orphan, he practices yoga since the age of five and follows the teachings of Swamy Mrityunjava at Shiva Yoga Mandir Ashram. Shri Mahesh Ghatradyal receives an education respectful of traditional Indian values and open to the world. He practices yoga consistently and rigorously, making this body and soul discipline his own. At fourteen year old, he shows amazing dispositions for athleticism and especially for running. In 1947, he takes part in the University World Olympic Games. He then gets offered a scholarship to study at the Ecole Supérieure d’Education Physique in Joinville, near Paris. With a degree from the Medical School of Geneva under the aegis of Professor Fritz Baumann, he starts working as a doctor in the 1960s both at the hospital Percy in Clamart and at the hospital Necker in Paris, which specializes in childcare. In 1959, he creates the Centre de Relations Culturelles Franco-Indien (CRCFI), with the support of many French personalities, among whom André Malraux (Secretary of culture), Jeannine Auboyer (Curator at the Guimet museum), professors Jean Filliozat and Paul Mus (experts of India), doctors Françoise Dolto (psychiatrist) and François Creff (nutritionist), and Robert Salmon (Director of France Soir). His goal consists of favoring a better knowledge of Indian culture in France. This is to be done through the organization of cultural and artistic events and by spreading the teaching of traditional Hatha Yoga, with the publication of the journal Yoga et Vie from 1974 on. He is the first one to provide a structure to the teaching of yoga in France with the creation of the Fédération Française de Hatha Yoga in 1969, whose goal is to disclose this practice to a wider audience. In 1971, he creates the Ligue Francophone de Hatha Yoga in Belgium. He extends his influence to Guadeloupe and Polynesia. 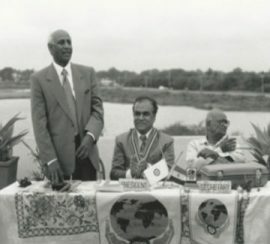 The International School of Traditional Yoga (EIDYT) opens in 1981. These two structures train future teachers to this practice, with the obtention of a certificate after a four-year period. In 2008, after he passed away, the FFHY and the EIDYT merge.